– Russo talks about knowing the WWE was doomed the minute Stephanie McMahon was given control over creative. He says Vince McMahon would never let any failure reflect back on Stephanie because she is his daughter. He called this move one of the biggest mistakes in company history. – Russo blames the lack of selling on the audience members that chant “this is awesome.” He says the wrestlers, nowadays, memorize the spots in the match and don’t have enough brain space to remember to stay in character and sell because they are too busy worrying about not missing their spots. – Russo does not think Roman Reigns can succeed as a babyface right now as too much damage has been done. He thinks Reigns comes across as “defensive” when giving his promos, and people can tell he is too afraid to make a mistake. If Reigns feels he can do better or doesn’t want to get booed out of buildings, Russo implores him to speak up to WWE management for his own good. – Russo feels like the WWE alienates their casual audience with so many high spots/lack of selling because so many casual fans don’t recognize the current product as the type of wrestling they grew up with. Introduction: Steve talks about returning to the Broken Skull Ranch and being much more relaxed than when he is in Los Angeles. He talks about riding around the ranch with one of his dogs. Austin tells a story of seeing a couple of rattlesnakes on the ranch trying to attract the attention of females with an interesting display (he posted videos of it on social media). He talks a little about the most recent episode of the Broken Skull Challenge that airs on CMT. Booking/Creative/Stephanie: Austin asks about the last time Russo was with the WWE/Vince. He talks about having a meeting with Vince McMahon where he told him he had to hire Eric Bischoff. He asked Vince how they were going to introduce the storyline with Bischoff, Vince, and Shane when nobody knew it was about to happen and nobody knew that Russo was back with the company. Vince McMahon told him to simply show up at the King of the Ring event and tell everyone that he was in charge and explain what was going to happen. Russo said that was a terrible idea. Russo talks about the first time he encountered the WWE writers room, and that he was absolutely floored to see Vince had hired so many writers, especially some who were very young and inexperienced. Vince continued that if Stephanie failed, Vince McMahon would never allow that to fall completely on Stephanie, as she is his daughter which obviously presents a huge problem. He says the company has never recovered from Stephanie gaining creative control. Austin brings up that it seems they have even more writers now. Austin asks if there are too many cooks in the kitchen. Russo brings up having Andrew Goldstein, former WWE writer, on his show to learn about the creative structure with so many writers. Russo says they have a bunch of kids, Hollywood writers, who have never been in the wrestling business before. They are in two groups, Raw and Smackdown. He says the two groups were lead by Dusty Rhodes and Michael Hayes, who obviously would look at all these young writers and ask “what do they know about the wrestling business?” He continues that, of course, that attitude/set-up will only lead to the writers being scared to present ideas because they think the leaders don’t respect them or their ideas. Russo says that, given this set-up, it shouldn’t surprise anyone that the ratings/quality of the product have declined. High spots/Lack of selling: Russo says this rise in concussions is because of the way they are working. Russo blames a lot of the fans that chant “this is awesome” all the time. He says that leads to the wrestlers taking bumps/doing high spots that are aimed at getting the crowd to go crazy. Russo says they need to look at the agents booking the match and ask why they are putting some of the talents at such great risk. He says the first thing he would tell agents if he were back in control is that every single match should stay in the ring. He wants to bring psychology back to the game because it doesn’t exist anymore. Russo says casual fans don’t watch anymore because it focuses too much on high spots and not psychology. Austin says the business has sped up too much. Austin talks about watching a Flair-Steamboat match and how great the selling was in their matches. He brings up, as he often does, that the DDT is no longer a move that can finish matches which speaks volumes. Russo describes seeing why selling has become a lost art when he worked at TNA. He says the guys would get together and try to memorize all of the spots in the match. He says if they try to memorize the entire match, the first thing that goes out the window is their character/selling because they can’t remember that much information. He says all they can remember is the spots because they don’t want to miss/forget one. Austin talks about calling his matches in the ring except for a few key moments. Austin says the worst aspect of wrestling today is telegraphing the next move. Russo says that so many people grew up with wrestling being a certain way and they shared that from generation to generation. He says all of those people see the product now as similar to a circus and the casual fans are not interested in that as it doesn’t represent the type of wrestling they grew up knowing. WM32: Russo says he didn’t watch the 15 WrestleManias before WM 30. He talks about being in awe of the fact that the WWE has built the event into the Super Bowl. He says the card is secondary as people view it as a major event regardless of the card. Austin says the card is still important but the event certainly has a major atmosphere around it. Roman Reigns: Austin asks Vince Russo about his thoughts on Roman Reigns. Russo starts by saying that he is a huge fan of Roman Reigns, and he knew he was the chosen one that was going to be crowned the babyface champion. He says the 2015 Royal Rumble was one of the worst booked things he has ever seen because by the time they got to the final four, there was only one realistic person who could win (Reigns) so of course the crowd was going to turn on him even more than they already had. He says Pat Patterson never would have booked it that way. Russo says that when he saw the crowd in Philly booing Reigns after his Rumble win, he would have immediately called to the referee and had him tell Reigns to give the crowd the middle finger. Then he would have let things flow organically from there. Russo says that every time Reigns cuts a promo, he can tell he is immediately on the defensive (e.g. Reigns feels like he cannot make a mistake when reciting his lines because he will get in trouble in the back). He compares it to a MLB player being afraid to strike out when going up to the plate. He says Reigns needs the freedom to just be himself. Austin says Reigns doesn’t emote enough, and he agrees that his promos feel scared/defensive. Austin says he never cared whether he stuttered or anything like that because the only thing that mattered was the crowd being invested in what he was saying, not how he was saying it. Russo says that it’s easy to blame the writing/creative/WWE system, but some of the blame needs to fall on the talent. Russo tells a story of back when Austin was still The Ringmaster, and Vince McMahon saying that The Ringmaster should never talk. Russo says he knew right away that McMahon hadn’t seen enough of Austin’s previous work to know that he could really talk. Russo says that Austin came up to him every single week and told him that he was better than this booking and that he should be allowed to speak. Russo says he was always looking for a spot to let Austin talk, and he finally found an opportunity to do color commentary one night. He says during that color commentary Austin spoke well enough that The Ringmaster would never continue like it had before. Russo brings up this story to suggest that Reigns, and other talent, need to take control of their own destiny. If Reigns feels like his promos are awful or that he is being set up to fail, he needs to make his voice heard. He says if talent feel like they can do better than they currently are, they need to speak up. Austin asks if the system will allow people to go out on a limb like that or if they will be ignored/punished. Austin says he spoke up during his time in the WWE because he had nothing to lose. 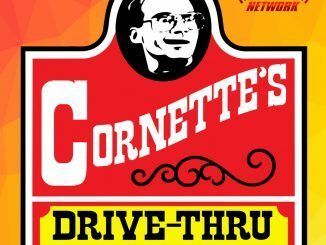 Austin had to tell Vince that he couldn’t edit his promos as much as he was because if it was “popping” the guys working in the truck, he could “pop” anyone. Put simply, Austin told Vince McMahon that he had to let him go all out or it wouldn’t work. Austin brings up that he thinks Reigns should turn heel and asks Russo for his opinion on that thought. Russo says Reigns cannot succeed as a babyface right now as there is almost 14 months of damage to repair. He says they should listen to the crowd and move the storyline organically based on the reactions. Russo says that Vince and Triple H are not in touch with their audience. He says they need to leave the “wrestling bubble” and enter the “real world bubble” to see how regular guys perceive the wrestling business. Russo conclusion/information: Russo says he represents the people who used to watch wrestling but don’t anymore. He tries to convey why that is on his shows and blogs. He wants wrestling to be great again. 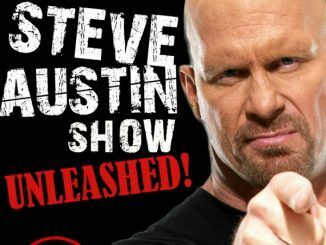 He and Austin talk about the comparisons between the WWE and MMA. Russo says that the WWE needs to focus on the character-driven stuff given that the WWE is not presenting real fights. They talk more about the WWE needing to let things develop more organically and naturally. Austin hates when they focus on the reaction of the backstage interviewers as it changes the focus of the promo to what the reaction of the interviewer is rather than what the performer just said. Russo can’t believe how many pre-taped promos make it to air that make the talent look bad. He wonders why they don’t keep shooting it until they get a version that makes the talent look good. Russo brings up that Vince McMahon doesn’t watch TV regularly so he doesn’t know what is current/working in 2016. Conclusion: Austin talks about the Fabulous Freebirds. He suggests everyone search for them singing “Bad Street USA” on the WWE Network. He says he learned a ton from watching the Freebirds. Austin talks about his shirts, Broken Skull IPA, and Broken Skull Challenge/Redneck Island on CMT. Score (9.0): Another excellent episode of the Steve Austin Show. 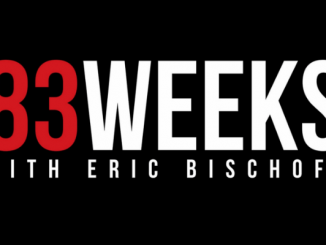 This is part two of his interview with Vince Russo, the first part aired last Tuesday. 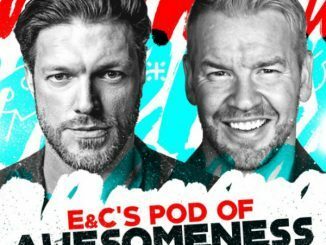 He and Russo continue their intriguing conversation, and this week they touch on some more issues within the WWE including the lack of selling and Roman Reigns. Whether you are a fan of Russo’s or not, this is still a rather insightful conversation as you are getting opinions on the WWE from one of it’s biggest stars and one of the writers who was with the company during it’s peak performance. I found it rather interesting to hear their conversation on the lack of selling and over-use of high spots in today’s WWE. 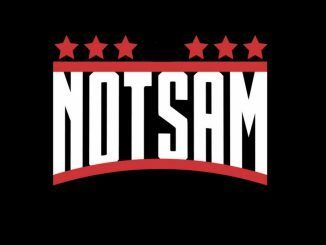 I think any wrestling fan will find this to be a great, entertaining podcast. As always with Vince Russo, there are plenty of hot takes to go around during this show.